Relentless Financial Improvement: Free round trip flight to San Francisco on Southwest! 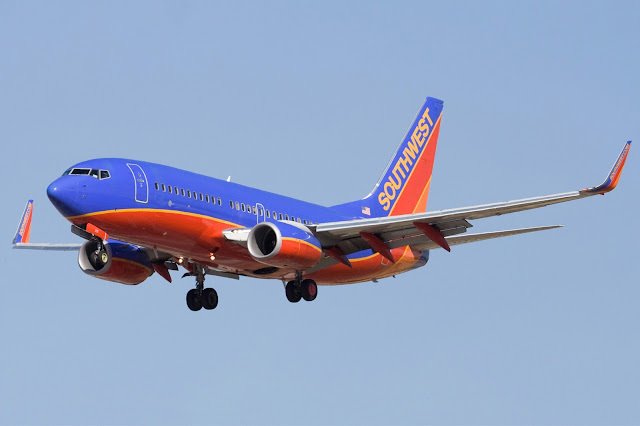 Free round trip flight to San Francisco on Southwest! It seems like we have been attending weddings every other month. It’s fun seeing couples so happy and in love. It’s a great time to catch up with people, eat great food, dance, and celebrate. I just booked myself one free round trip flight on Southwest Airlines for a wedding that I will attend in San Francisco in December 2015. My wife has other plans that date, so I am attending the wedding solo. The cash price of a flight from San Francisco home to Orange County would have been $119. I’m glad that we have enough Chase points to cover this flight. The total Rapid Rewards points needed for this flight was 12,555 with a fee of $11.20. 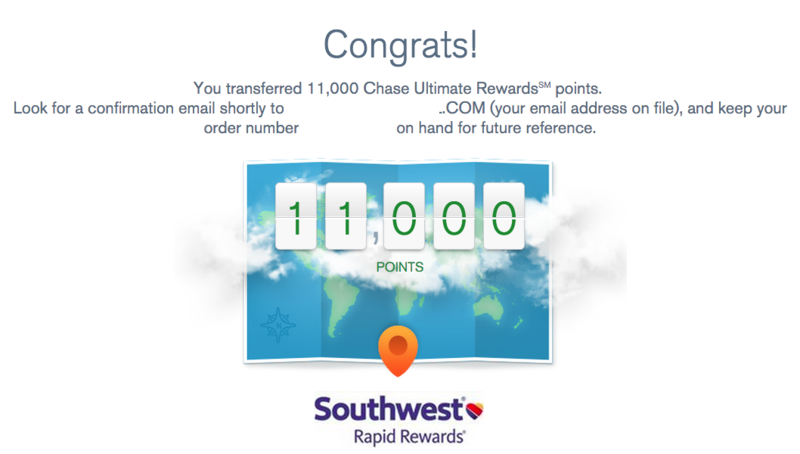 Since I already had 1,963 Rapid Rewards points in my account, I needed to transfer 11,000 Chase points into my Rapid Rewards account to complete the award booking. You can only transfer points to Chase travel partners in 1,000 point increments. The points transferred instantly and I immediately booked my flights. 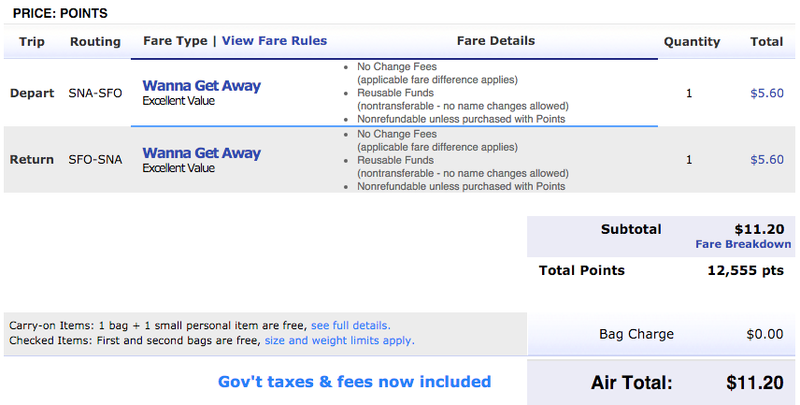 By redeeming 12,555 and $11.20, I saved $209.80 ($221 - $11.20)! The whole process of booking this flight took less than 5 minutes.